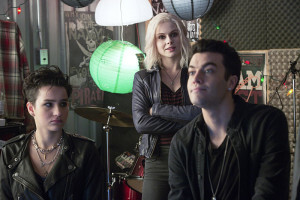 iZombie Episode 12 Spoilers: "Dead Rat, Live Rat, Brown Rat, White Rat"
The CW has released some official photos and a description for “Dead Rat, Live Rat, Brown Rat, White Rat,” the June 2 episode of iZombie. HIGH SCHOOL REDUX — A group of drunken teenagers take a late night joyride with disasters consequences. As they cover up the accident, the man mysteriously comes back to life and attacks one of the girls. After Liv (Rose McIver) consumes the girl’s brain, she is taken back to high school as she and Clive (Malcolm Goodwin) investigate the case. A surprise death of one of the victim’s friends raises some serious questions about the case. Major (Robert Buckley) believes Blaine’s (David Anders) deli is not all it seems to be. Rahul Kohli also stars. Mairzee Almas directed the episode written by Diane Ruggiero-Wright (#112). Original airdate 6/2/2015. Below, find some preview images. Arrow’s Bex Taylor-Klaus guest stars! 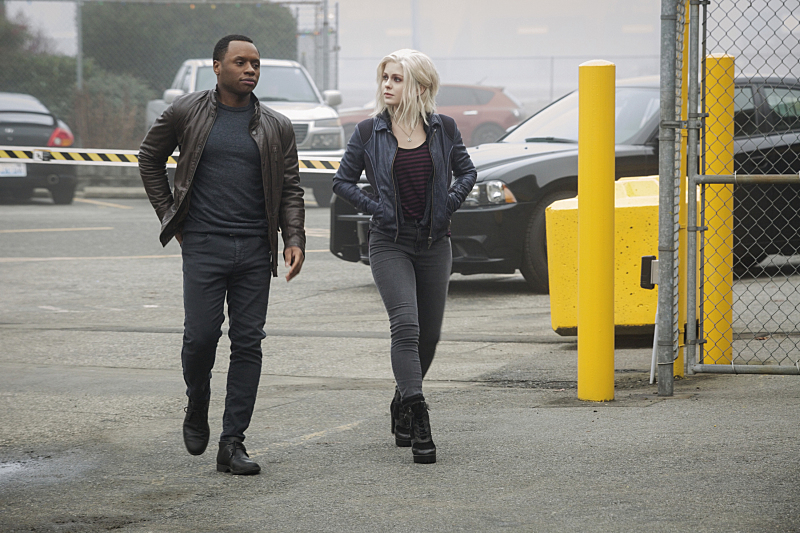 iZombie -- "Dead Rat, Live Rat, Brown Rat, White Rat" -- Image Number: ZMB112A_0002 -- Pictured (L-R): Malcolm Goodwin as Clive Babineaux and Rose McIver as Olivia "Liv" Moore -- Photo: Liane Hentscher/The CW -- ÃÂ© 2015 The CW Network, LLC. All rights reserved.